Below is a comprehensive list of hotels in St. Agnes Leisure Park. Use the sort links to refine your search or to find featured accommodation in St. Agnes Leisure Park. Many of our hotels in St. Agnes Leisure Park feature no booking fees and best price guarantee when booked through the Pictures of England website. To list your hotel in St. Agnes Leisure Park, click here. With a restaurant and a pub, St Agnes Hotel is located in the coastal village of St Agnes, just 3 minutes’ drive from the stunning St Agnes Heritage.. This stylish family-run country house hotel is surrounded by picturesque Cornish countryside, close to the rugged coast. It offers free Wi-Fi, free pa..
Offering free WiFi in the public lounges and a restaurant, Rosemundy House Hotel is set in St. Agnes , 23 km from St Ives. Newquay is 15 km away. Free..
Wheal Coates is a holiday home with a barbecue, located in St. Agnes . It provides free private parking. The kitchen comes with a dishwasher and an o..
Wheal Charlotte is a holiday home with a barbecue, located in St. Agnes . The property is 21 km from St Ives and features views of the garden. The un.. Situated in St. Agnes , this holiday home features a barbecue. Guests benefit from free WiFi and private parking available on site. 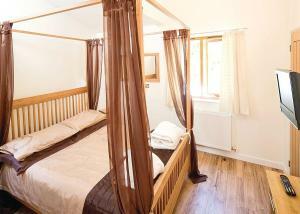 Towels and bed li..
Set in St. Agnes , this holiday home features free WiFi. It provides free private parking. 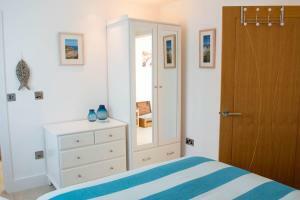 Towels and bed linen are provided in this self-catering ac..
Brambles offers accommodation in St. Agnes . The property features views of the city and is 25 km from St Ives. There is a dining area and a kitchen ..
Bannsvale Cottage is a holiday home situated in St. Agnes in the Cornwall Region and is 21 km from St Ives. The property features views of the city an.. Situated in St. Agnes , this holiday home is located 21 km from St Ives. The property boasts views of the city and is 17 km from Newquay. There is a ..
Bannsvale Barn offers pet-friendly accommodation in St. Agnes . The property is 21 km from St Ives and boasts views of the city. The kitchen features..
Bannsvale Farmhouse offers pet-friendly accommodation in St. Agnes , 21 km from St Ives and 17 km from Newquay. The property features views of the cit..
Bannsvale Little Barn offers pet-friendly accommodation in St. Agnes , 21 km from St Ives and 17 km from Newquay. The property is 18 km from Falmouth .. Situated in St. Agnes , this holiday home is located 25 km from St Ives. The unit is 12 km from Newquay. There is a dining area and a kitchen. A TV i.. Featuring free WiFi and a terrace, Mellowvean offers accommodation in St. Agnes , 25 km from St Ives. Free private parking is available on site. All .. 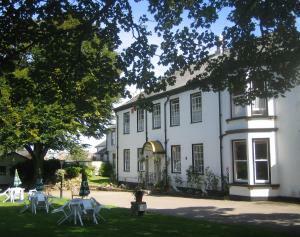 Seven is a family business offering bed and breakfast accommodation within the village of Mount Hawke, Cornwall. The property is located on the specta.. Situated in its own private grounds, St Georges Country House overlooks Perranport which features a 3-mile long sandy beach. 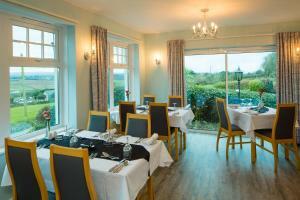 Guests will benefit from ..
Offering a garden, Leycroft Valley is situated in Perranporth. St Ives is 27 km away. Free WiFi is featured . The accommodation has a TV. There is a ..